The Good Life: Health, Safety and Financial Freedom for All! Would it perhaps surprise you that this project is designed to benefit its customers 1000 times more than the $37 subscription fee? Today you and all visitors here can experience just that when you receive your seven free "Good Life Bonuses." Reviewers have been averaging projected gains of close to $50,000 over five years. Health and safety are very important to us as well. Two of the Good Life Bonuses directly concern those two goals. Much of what you'll read will be familiar to you because it is so important to follow good habits like diet and exercise. But you'll also discover some new energizing ideas and learn how to save a lot of money in the process of staying safe and healthy. 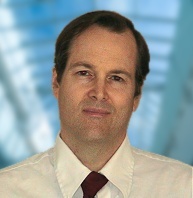 My name is David Snell, founder of this site and a public well-being advocate, which I consider to be an upwards evolution from my previous activities as a consumer advocate. I have a long track record of humanitarian endeavors, the point of which was to benefit the public far more than to turn a profit. I'll talk about all that later, but it's more important to first address the main two points here: how you will benefit, and how your contribution will help others live better lives too. Our aims may not be as epic as the Twelve Labors Of Hercules, but we do have twelve magnificent goals. We would like you to be among the first of a great many people who will benefit hugely from this site. It's all about the great things you and we can accomplish together! What we want to do is use these seven Good Life Bonuses as a starting point for a subscription site that continues to benefit you and all subscribers with a steady stream of life-enhancing Bonuses. You'll gains in health, wealth and safety will be tremendous, yet you risk nothing because we're giving away so much right up front. Frankly, a big part of this our vision for this site is to "find the kind." It's primarily the great-hearted people of the world who will help this site succeed, and through the whole process we'll be looking for kind and helpful friends and allies who will act in concert with us to achieve far more than any of us can accomplish separately. "Subscribers are appreciated life success partners, whom we shall give heartfelt support and enlightened information for their (1) health, (2) safety, (3) financial and spiritual freedom, (4) well-being and (5) lifetime of happiness." 11. We respect both your intelligence and your time. That's why the Good Life Bonuses are helpful and succinctly written, and customized to your input. When you subscribe your first Good Life Bonus will be "The Treasury Of Time" containing time-saving tips that could save you many hundreds of hours over the next five years. 10. An estimated average benefit of $50,000. 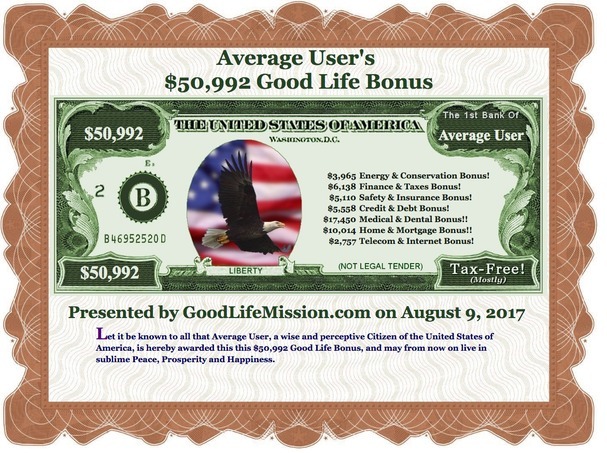 The Good Life Bonuses will save many people that much over the next five years, based on a survey of a dozen reviewers. Obviously, those in the upper middle class will probably benefit the most, because their higher spending usually means more "hidden money leaks" to find and trim. Some people are projected to gain over $100,000, others report they only gained a few thousand from their Bonuses. 9. Gifts for our customers. Just by receiving your seven free Good Life Bonuses, you'll benefit hugely. 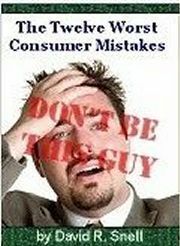 With a free trial you'll also receive the Special Report The Twelve Worst Consumer Mistakes: In 5-10 minutes you\'ll read about the twelve costliest (and sometimes funniest) mistakes made by consumers. 8. Enjoy yourself. It's important to us that everyone have a good time going through our site. Life should be enjoyable as much of the time as possible. Happiness isn't just reserved for the aftermath of achieving a worthy goal. 7. Improve your health and safety. We work for everyone's public health and safety, including yours. Health is more than being free from disease, it's a happiness that pushes back all negative attitudes. Safety is more than protection from loss and damage, it's leading our lives by the light of enduring and fulfilling principles, so that we will always be resilient and enthusiastic despite occasional challenges. 6. Avoid this world's twelve sneakiest traps. We've identified the dozen worst misery-causing culprits. You'll see how these mistakes are ranked, based on estimates of the actual damage they do to the overall finances, health and safety of Americans. You definitely want to protect yourself from these pitfalls, and reading about them is the the first step towards easily avoiding them. "Why are you giving all this away for free?" "Tell me, what is the very best investment I can make?" "Why should I use this site when I can go to one of the big financial sites?" "I don't want to wait five years for the money to roll in, so how can I enjoy these Good Life Bonuses now?" "What exactly is a SmileBuck, and why do you say it's worth more than twice its face value?!" 4. Let's love our animal friends too. Do you have a beloved furry friend? 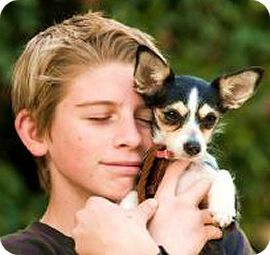 Our site at http://www.freekindposters.life offers a dog health-and-safety poster, and it's 100% free for all visitors. Within a few weeks we will definitely complete a poster for cats too. To receive notifications of new posters and other Bonuses, go get your Good Life Bonuses and inside you can sign up for email notifications too. 3. Philosophy and spirituality matter. We really hope all of these benefits will serve to fuel your increased well-being and happiness. We know some people will even find it all to be life-supercharging fuel. We can't promise everyone happiness just from subscribing, but we can move towards it together and help lay a good foundation. All of us really do best when we discover how to source our highest bliss in our own way. If adversity sometimes comes calling despite our best efforts, it will be crucial to have a good foundation in health, safety and financial freedom. 2. Your subscription helps others. We want everyone to enjoy better life success. Subscribing will support our charitable mission, which is to offer similar Good Life Bonuses to at least one underprivileged person or family for every $10 we receive. The Good Life Bonuses will be given out in booklet form if computer access is unavailable. 1. The best is yet to come. The seven free Bonuses you will receive are worth about 30% of the total value of what we want to deliver for you; the Treasury Of Time is about another 10%; and the other benefits of subscription should be worth 60%. We're freely giving everyone the vast majority of what we've created for the public's benefit! Again, you can go and get it all here. Currently: Owner of this site, and creator of its programming. 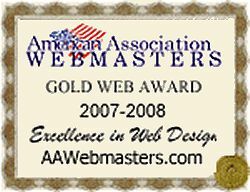 (2008 - 2012) Creator of WorldKindnessCard.com, a site designed to spread kindness throughout the world;; MagicMirrorQuotes.com , a list of some of history's greatest quotes; and AutoSafetyHub.org. a fun online "crash course" in auto safety. (2002 - 2005) Creator of the LiveDrive Initiative: LiveDrive is a patented invention we hope will improve traffic safety and save thousands of lives every year. Although I've received various compliments and minor awards for the efforts listed above, I don't have the marketing expertise to push them to a high level of popularity. But now, thanks to the excellent results people have been seeing from this site, you and I together have a great opportunity to accomplish a magnificent triumph for all humanity, first in North America, and then worldwide. What amount of benefits will you end up... will it be somewhere in between the $6000 to $89,000 of benefits reported by reviewers? See your Good Life Bonuses now. Afterwards if you'll be kind enough to subscribe and/or spread the word, you too will be a "Hero of Health, Safety and Financial Freedom."